A market is a place to care for one another. It is a living system of connection where people bring their offers and their needs. Markets are the looms of the material world, and the yarn of our transactions is money. It is time to upgrade our money systems. 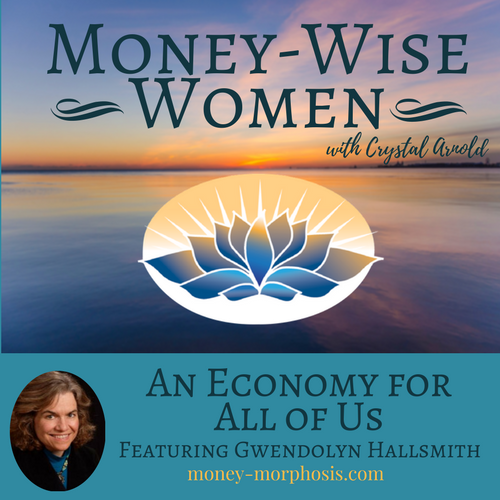 “Money-Wise Women” guest Gwendolyn Hallsmith is a pioneer of complementary currency systems. She has over 35 years of experience working with municipal, regional, and state government in the United States and internationally. She has worked closely with Bernard Lietaer, champion of complementary currencies and architect of the Euro. Gwendolyn is an advocate of public banking, cooperatives, and ecovillages. Her international experience has included work with the United Nations Environment Program, the United Nations Development Program, and the Institute for Sustainable Communities. Gwendolyn describes the importance of individual and systemic transformation toward an equitable economy. She has identified five systems that need improvement: ownership, money, market, management, and metrics. We discuss the opportunities and challenges with our modern economy. What has Gwendolyn learned from working on monetary systems for decades? Where money really comes from. Why people don’t want to talk about money. How monetary systems undermine sustainable community. Want more humorous insights into money? Listen to Gwendolyn’s song “Making Money out of Air” by the New Economistas. Watch her videos on the Global Community Initiatives on YouTube. Invisible systems of finance influence our behavior. In this episode we question assumptions about money and reveal projects that are creating more equitable economic structures. You will see money in a whole new light after listening to our fascinating conversation! Gwendolyn Hallsmith is the founder and executive director of Global Community Initiatives, a non-profit organization founded in 2002. She is the author of several books: The Key to Sustainable Cities: Meeting Human Needs, Transforming Community Systems; Taking Action for Sustainability: The EarthCAT Guide to Community Development; LASER: Local Action for Sustainable Economic Renewal; Creating Wealth: Growing Local Economies with Local Currencies; Community Currency; and Vermont Dollars, Vermont Sense. Gwendolyn has over 35 years of experience working with municipal, regional, and state government in the United States and internationally. She has served as the planning and community development director for the City of Montpelier, Vermont; the town manager of Randolph, Vermont; the regional planning director in Franklin County, Massachusetts; a senior planner for the Massachusetts Executive Office of Energy Resources, and the deputy secretary of the Vermont Agency of Natural Resources. Her international experience has included work with the United Nations Environment Program, the United Nations Development Program, the Institute for Sustainable Communities, the International City/County Management Association, and Earth Charter International. Her participation in the Women’s Circle of the Americas brought her to Mexico and Canada to meet with women from North and South America in solidarity and friendship. 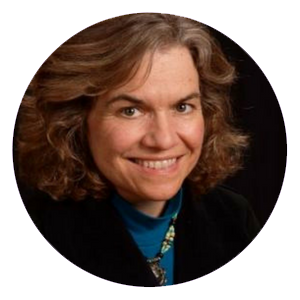 She has a master’s degree in public policy from Brown University and studied theology at the Andover Newton Theological School, exploring the links between our wisdom traditions, spirituality, and work at the community level.